Power House - Oswego Creek (formerly Sucker Cr. ); High water caused break in roof. Description Scanned as b & w. Same as 163a & c, 719a & b, 1629. 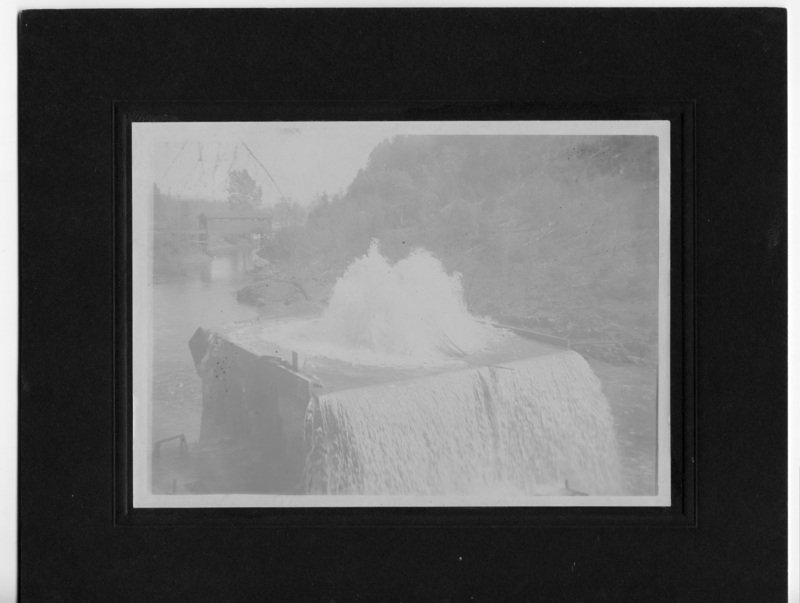 Scanned as b & w. Yellowed and faded; mounted on matboard. Transcription Power House - Oswego Creek (formerly Sucker Cr. ); High water caused break in roof.